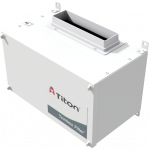 Titon’s new Trimbox Filter® – Lined (insulated) and Unlined Units reduces outdoor air pollutants as part of your building ventilation system. 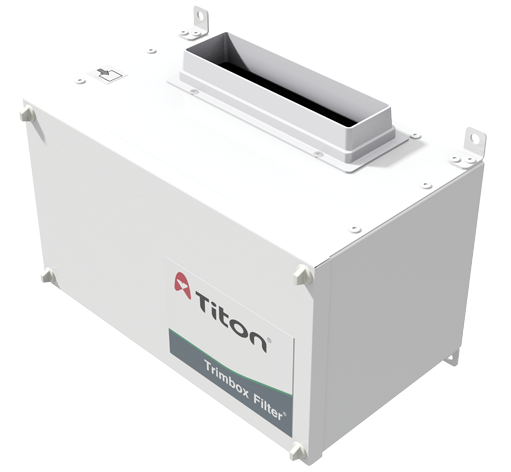 With pollution an ever increasing problem, the Trimbox Filter® allows for extra protection within the home. 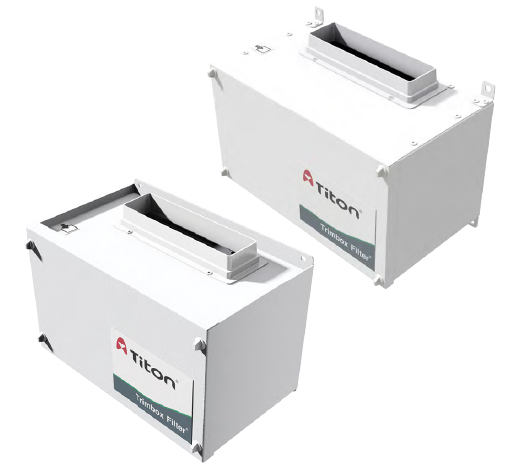 By adding a Trimbox Filter® to the ventilation system, it allows increased protection from external contaminants. Ideal for new build or refurbishment, the Trimbox Filter® creates a safer environment for any dwelling. 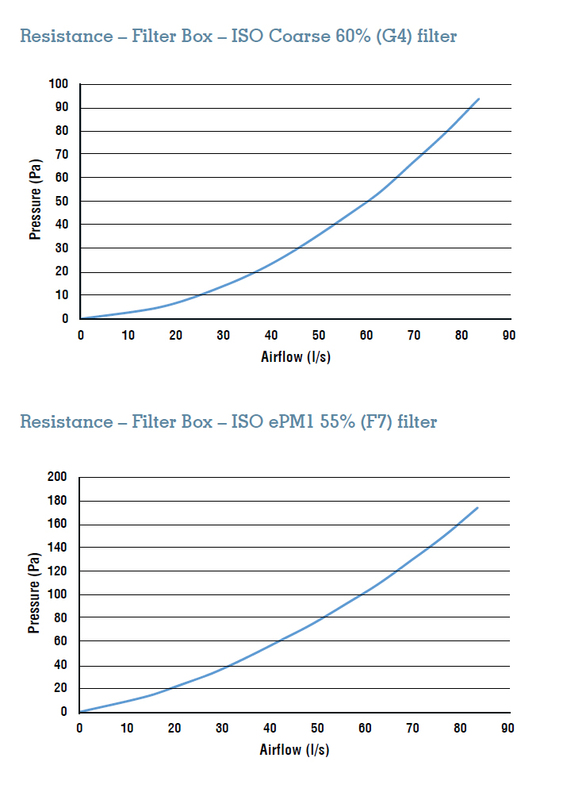 F7 filter reduces up to 95% of PM2.5 particles. 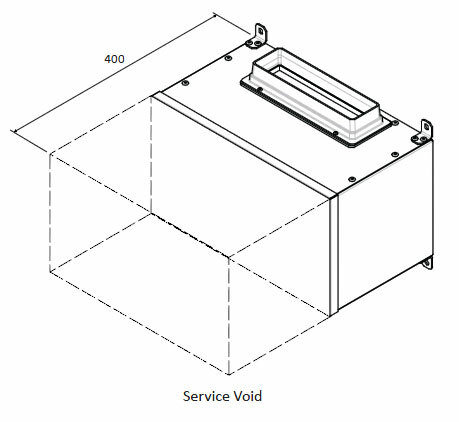 Dimensions: 355mm wide x 203mm high (excluding ports) x 206mm deep. Dimensions: 338mm wide x 208mm high (excluding ports) x 200mm deep. Port Dimension: 204mm x 60mm, 220mm x 90mm, Ø125mm, Ø150mm, Ø160mm. Filters: Grade ISO Coarse 60% (G4) synthetic filters as standard/ISO ePM1 55% (F7) wet-laid glass fibre paper. Installation: Install in accordance with regulatory requirements, such as the Domestic Ventilation Compliance Guide (England & Wales) and the Residential Ventilation Association recommendations. 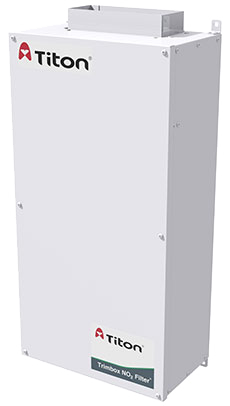 These units can be installed both vertically and horizontally. Maintenance: Service and filter cleaning/replacement subject to local environment – see Product Manual. URL for Trimbox Filter® - Manual copied to clipboard. URL for Trimbox Filter® - Catalogue Page copied to clipboard.